RIYADH (Reuters) - Saudi Arabia's King Salman will provide Iraq $1 billion to build a sports city, state television said on Wednesday, the start of two-day visit to Iraq by high-level Saudi officials aimed at boosting ties. Riyadh has been wooing Baghdad as part of an effort to stem the growing regional influence of Iran, while Iraq is seeking economic benefits from closer ties with its southern neighbour. A Saudi economic delegation that includes the energy and investment ministers arrived in Iraq on Wednesday for the second Saudi-Iraq coordination council meeting, an initiative launched in 2017 to upgrade diplomatic relations. 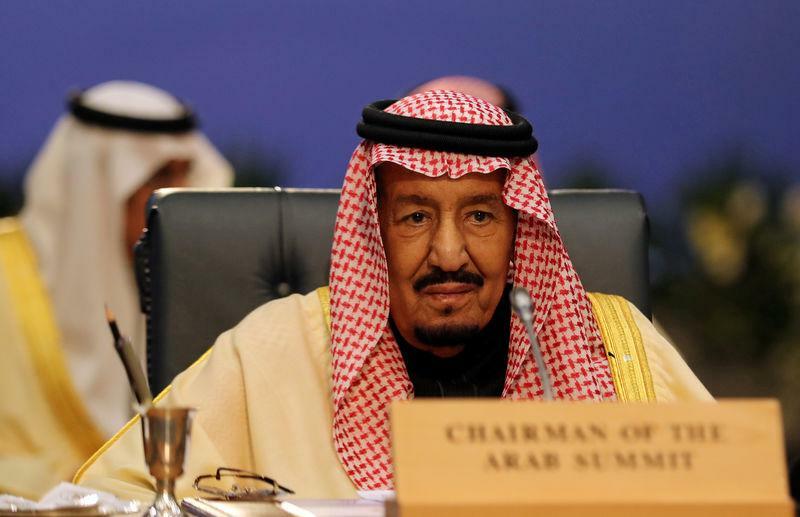 Saudi Arabia reopened its embassy in Baghdad in 2015 following a 25-year break. Saudi investment minister Majid bin Abdullah al-Qasabi said it would open its consulate in Baghdad on Thursday to begin issuing visas for Iraqis and that three other consulates would be opened in Iraq, according to Iraq's state news agency. Qasabi said that 13 agreements were ready to be signed and that work on the Arar land border crossing linking Iraq and Saudi Arabia would be completed within six months.